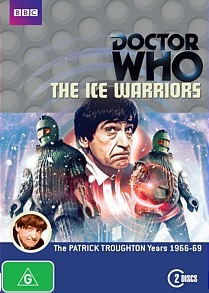 In my review of the recently released The Ice Warriors DVD on 3 September I posited that there may be a relationship between the resurrection of seemingly deceased Doctor Who monsters and the sale of Classic Series DVDs. 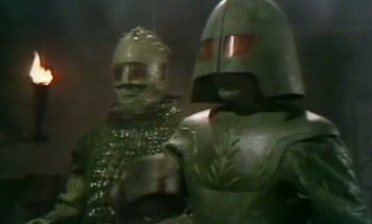 Only four months prior to The Ice Warrior’s DVD release an Ice Warrior emerged for the first time in 39 years in The Cold War. Similarly, the last Fourth Doctor DVD to be issued, The Terror of the Zygons, coincidently found its way onto retailers’ shelves but a mere six weeks prior to the Zygons much anticipated reprise in the 50th Anniversary Special, The Day of the Doctor. 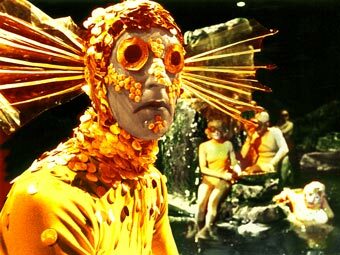 Should we anticipate the return of the Fish People soon given the impending release of The Underwater Menace, I asked. 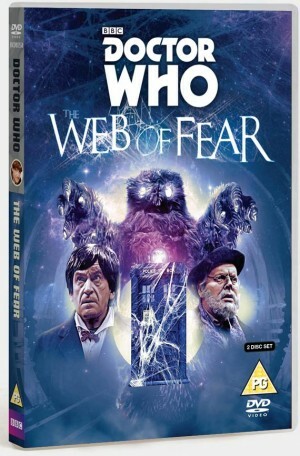 In retrospect, the recovery of The Web of Fear is now obvious considering the story arc which commenced with the 2012 Christmas Special, The Snowmen. 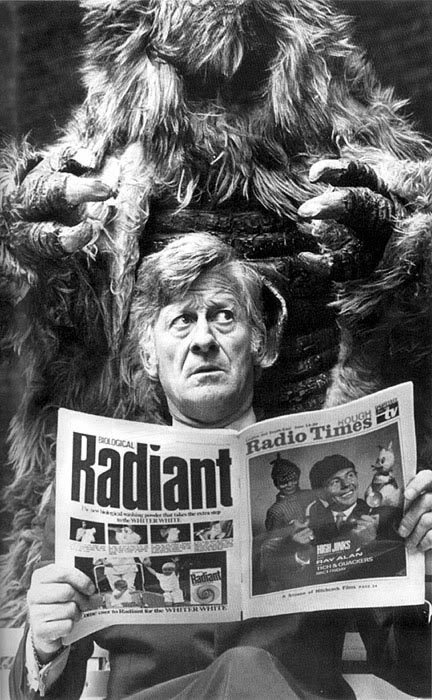 At the time the return of the Great Intelligence, a formless mass first encountered in The Abominable Snowmen and last seen in The Web of Fear 44 years earlier, was a incredibly bizarre decision by Doctor Who show runner Steven Moffat. 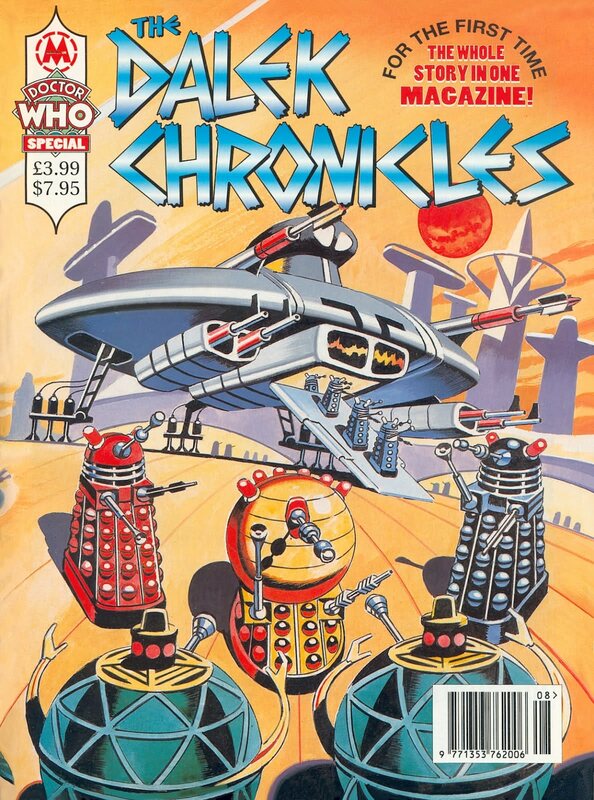 Of all villains to resurrect, why choose one who only appeared in two missing serials over 40 years previously? Not that this was the first time that a monster seemingly lost for all time had been reimaged. 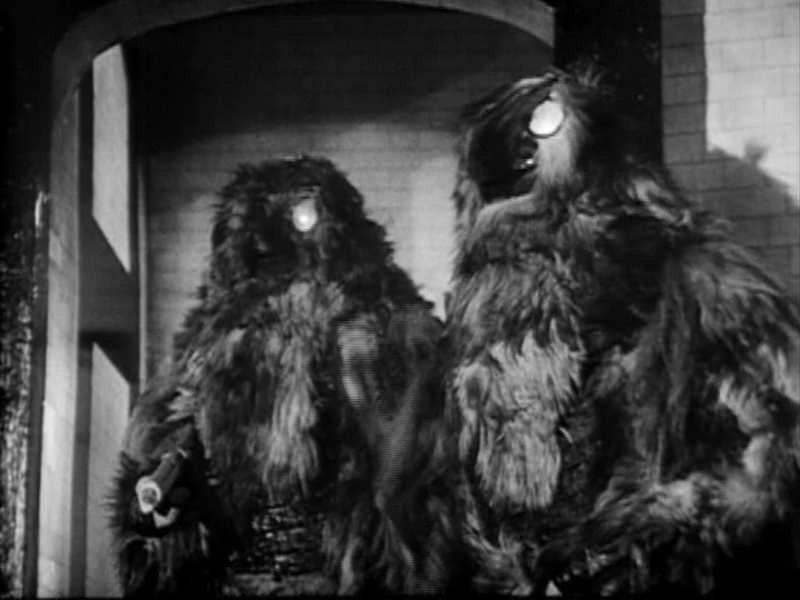 The Macra reappeared in the 2007 Series 3 episode Gridlock having last been seen in 1967’s The Macra Terror. The Great Intelligence’s revival was not limited to a single episode, however. 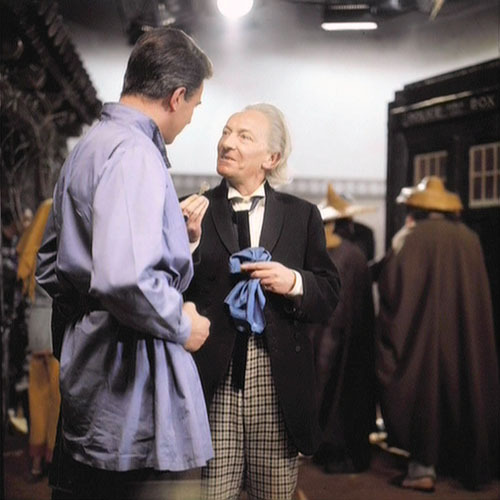 It went on to appear in two further Series 7 episodes, The Bells of Saint John and The Name of the Doctor and was the series’ major protagonist. Which leads us to further coincidences. Were the Snowmen who accompanied the Great Intelligence in The Snowmen a substitute for the Intelligence’s first tools, the Yeti? Should we anticipate the recovery and issue of The Abominable Snowmen sometime soon? 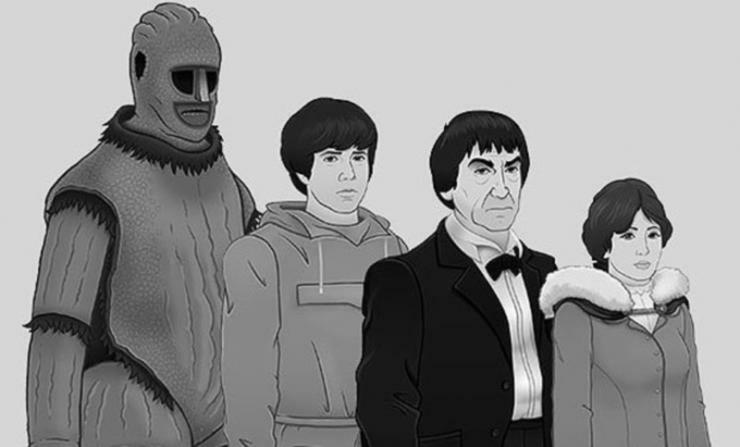 Moreover, is this image taken from the 50th Anniversary trailer perhaps a hint that The Abominable Snowmen has indeed been returned. The snow capped mountains in the background clearly represent Tibet and the stone block building could readily be a monastery. 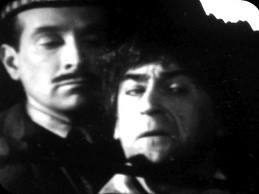 Is the Second Doctor playing his recorder as if to summon the missing episodes home? Only time will tell, however one thing is certain. 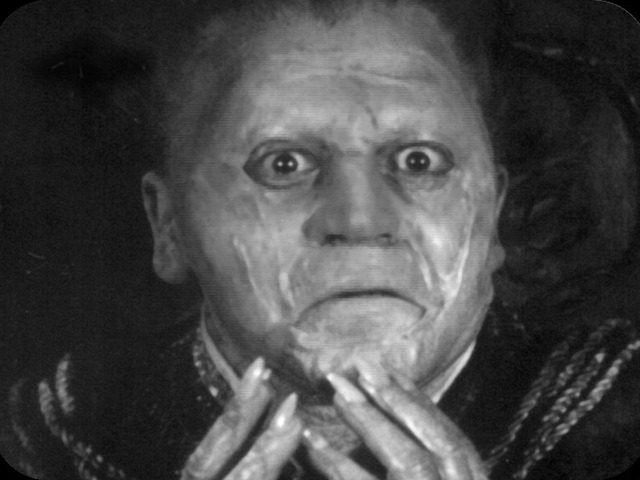 Henceforth the revival of any monsters and villains from lost 1960’s episodes will be scrutinized and speculated upon by fans as evidence of recoveries. 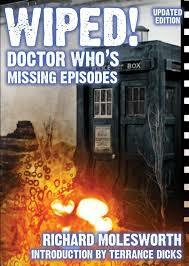 Let’s see what the 50th Anniversary and Christmas Specials, together with Series 8, brings forth! 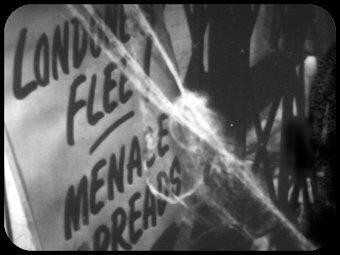 Only episode one of The Web of Fear is held in the BBC Archives and has been released on the triple DVD set, Lost in Time. 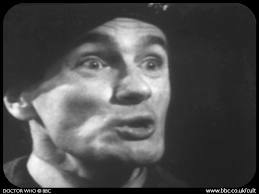 For the purposes of this marathon I viewed Loose Cannon’s reconstructions of episodes two through to six, links to which are provided below. The 1960s saw the dawning of Western interest in Eastern religions. Perhaps premier among the spiritualities investigated was Buddhism. It was in 1967 that a Trappist monk of the Abbey of Gethsemane, Thomas Merton, published his collection of essays, Mystics and Zen Masters. 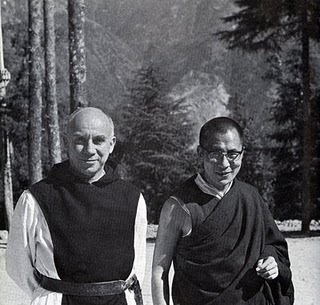 More than 40 years later, two of the top five Google search results on “Merton and Buddhism” return a conservative Catholic article entitled, “Can You Trust Thomas Merton?” Yes, there are still many orthodox Catholics who would prefer to imagine that the Second Vatican Council never occurred, and fear that enlightened spiritual writers such as the late Fr Merton are a threat to the very fabric of Christendom. 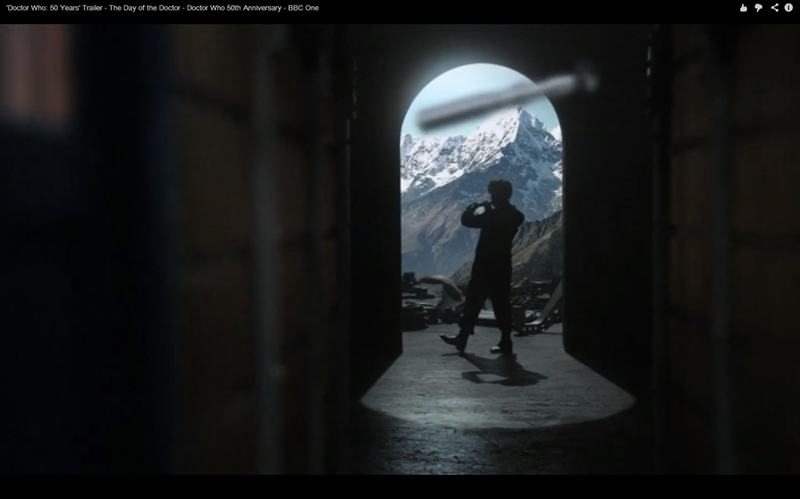 “The TARDIS arrives in Tibet in 1935 and the Doctor visits the remote Detsen (sic) monastery in order to return a sacred bell, the ghanta, given to him for safe keeping on a previous visit. 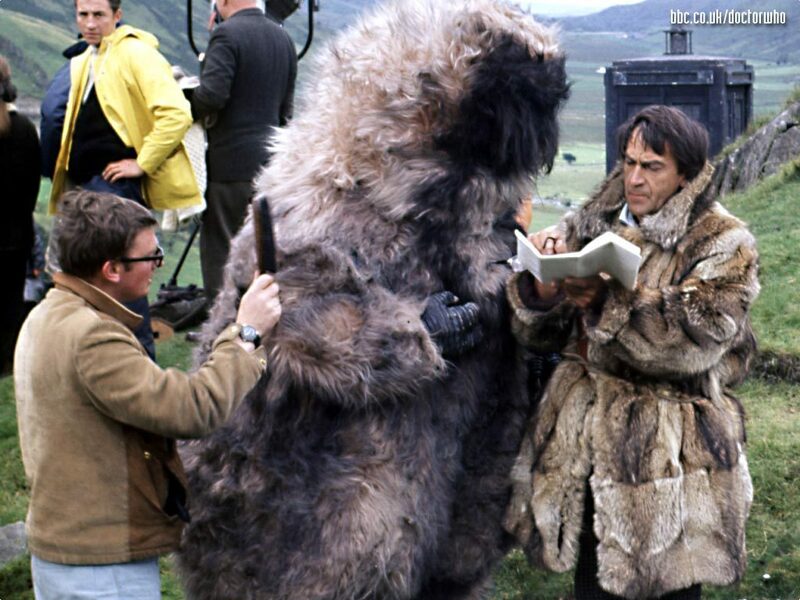 There he meets and Englishman, Travers, on an expedition to track down the legendary Abominable Snowmen or Yeti. It transpires that the Yeti roaming the area are actually disguised robots, which scare away or kill anyone who approaches. The High Lama Padmasambhava, whom the Doctor met hundreds of years earlier on his previous visit, had been taken over by a nebulous alien being, the Great Intelligence, which has artificially prolonged his life and is now using him to control the Yeti by way of models on a chessboard-like map. The Intelligence’s aim is to create a material form for itself and take over the Earth. 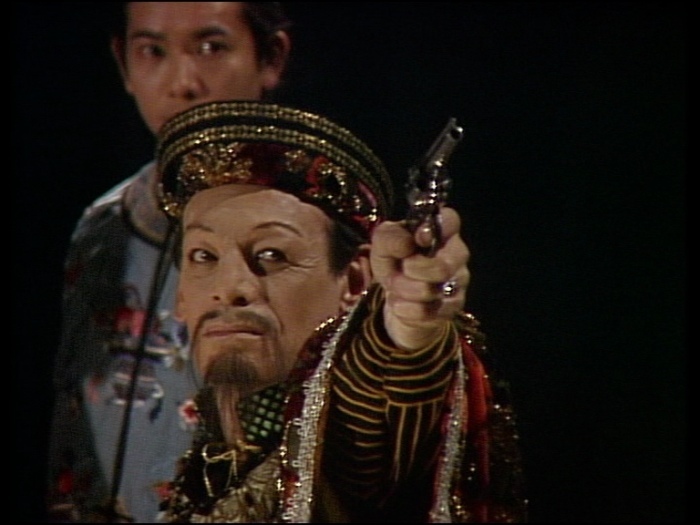 The Doctor banishes it back to the astral plane, allowing Padmasambhava finally to die in peace”. 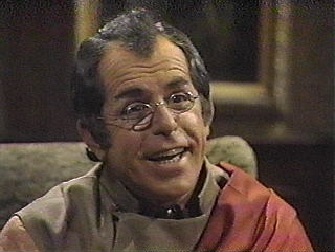 The Abominable Snowmen’s writers, Mervyn Haisman and Henry Lincoln, sought to authenticate the serial by utilizing some real life names from the history of Tibetan Buddhism. 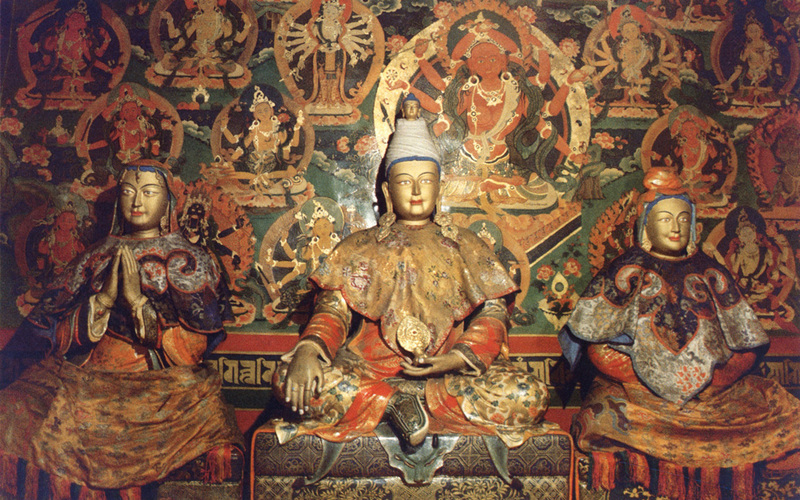 The Master of the monastery was Padmasambhava, so named after the eighth century Buddhist Master who is said to have brought Vajrayana (tantric) Buddhism to Tibet. 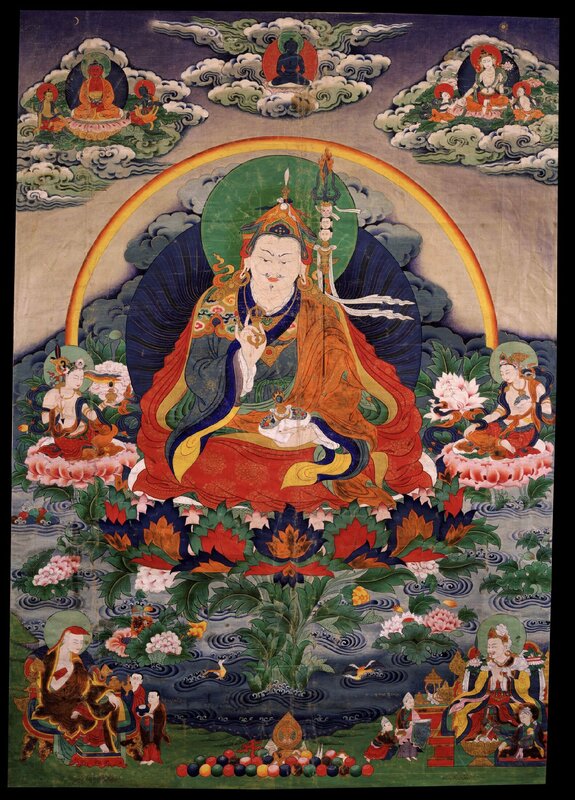 History names Padmasambhava as the author of Liberation Through Hearing During the Intermediate State (Bardo Thodol) which is known colloquially in the Western world as The Tibetan Book of the Dead. Given that the Bardo Thodol is in effect a treaty on how to ensure an absolute death and escape from the cycle of reincarnations, it is profoundly ironic that Padmasambhava of The Abominable Snowmen should be caught in a state of suspended life for hundreds of years. His death at the conclusion of the serial is more in accord with Buddhist philosophy as Padmasambhava at last finds peace in absolute death. The name of monastery’s Abbot, Songsten, is taken from seventh Century Tibetan Empire founder, Songtsän Gampo, whilst the young monk Thonmi is so named after Thonmi Sambhota, the person traditionally credited for the invention of the Tibetan script. 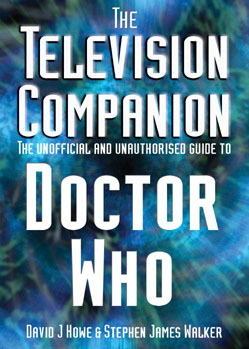 When the script was novelized by Terrance Dicks in 1974 as Doctor Who and the Abominable Snowmen, it was on the suggestion of Doctor Who’s then producer, Barry Letts, that these names should be changed. As a Buddhist Letts considered the appropriation of the names inappropriate and accordingly they were slightly amended to Padmasambvha, Songtsen, and Thomni . At face value it appears that perhaps the Abbot’s name would best have remained as Songsten, as that is further from the real spelling of Songtsän than Songtsen. 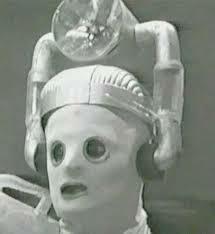 Whereas The Tomb of the Cybermen was resplendent with crazed archaeologists, The Abominable Snowmen instead has a “mad anthropologist”. This at least is how the fictional press of the serial refer to the explorer Travers as. 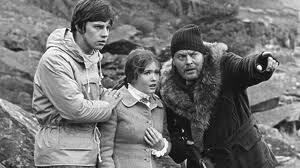 Incidentally Travers is played by Jack Watling, the father of companion Deborah Watling. 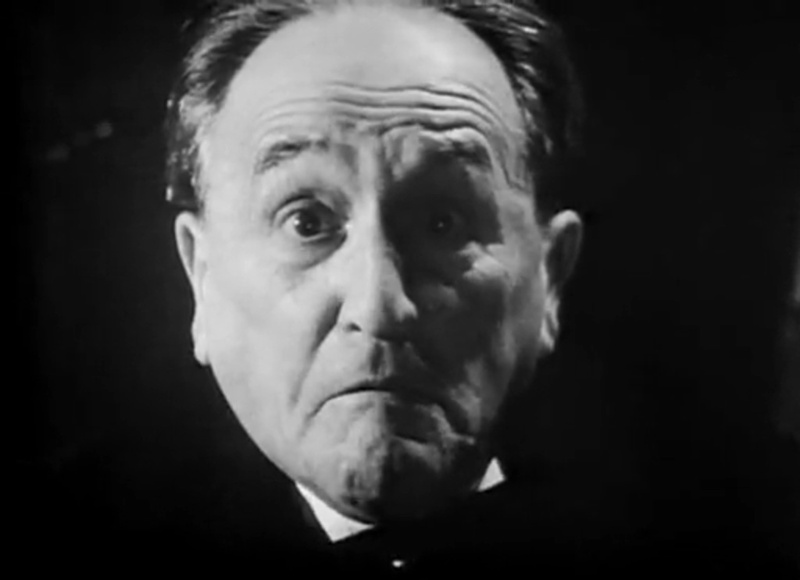 Watling reprised his role of Travers three serials later in the sequel, The Web of Fear. Watling, the elder, did a fine job in the serial, as did Deborah who was quite mesmerizing in the scene where she speaks the same phrase automatically whilst under Padmasambhava’s trance. The necessity for compassion is perhaps the integral moral of this story. Although the monk-warrior Khrisong is murdered by the Abbot, Songsten, he is forgiven of his crime by both the victim on his death bed, and by his fellow monks thereafter. 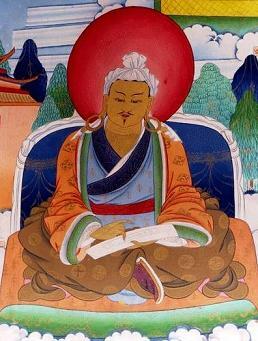 As the young monk Thonmi rightly concludes, Songsten had been put under a trance by the Master, Padmasambhava. He was but a puppet, as was Padmasambhava whom the Doctor identified as also being controlled. The entity that was the source of this control was the Great Intelligence. This theme of forgiveness is not restricted only to Buddhism, but also to Christianity. Khrisong’s final words are reflective of one of Jesus Christ’s seven final sayings, “Father, forgive them, for they do not know what they do” (Luke 23:34). Judeo-Christian links in this story can also be gleaned from Padmasambhava’s use of the words “I am” on several occasions when describing himself. Padmasambhava at one point states, “But our brother must not be allowed to depart in the knowledge that I am other than what I am”. “I am that I am” is the common English translation of God’s response to Moses when asked for his name (Exodus 3:14). 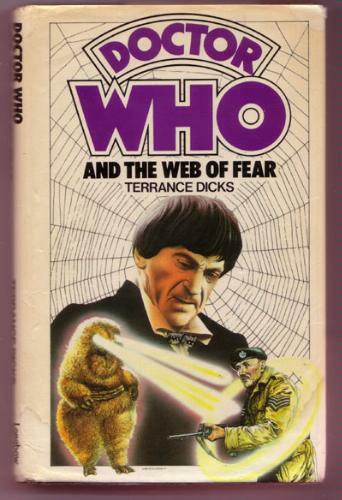 The Great Intelligence returned, like Travers, in The Web of Fear, but the character would not be reprised for a third time for over 44 years, the longest period in abeyance of any monster, alien or foe in Who’s history. 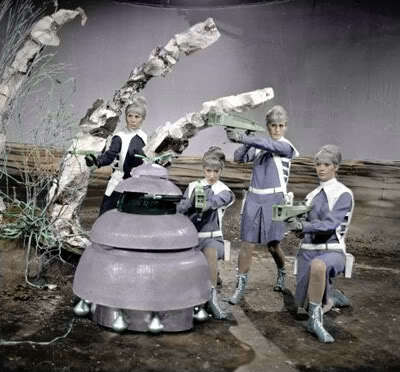 Manifesting itself as snow in the 2012 Christmas Special, The Snowmen, the Great Intelligence planned to invade the earth with Snowmen in lieu of Yeti. 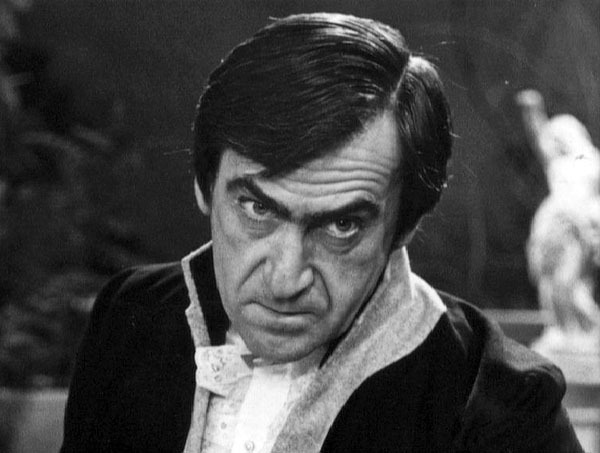 The Great Intelligence eventually gained control of Walter Simeon’s body and would appear again as the Doctor’s main protagonist in the 2013 episodes The Bells of Saint John and The Name of the Doctor. 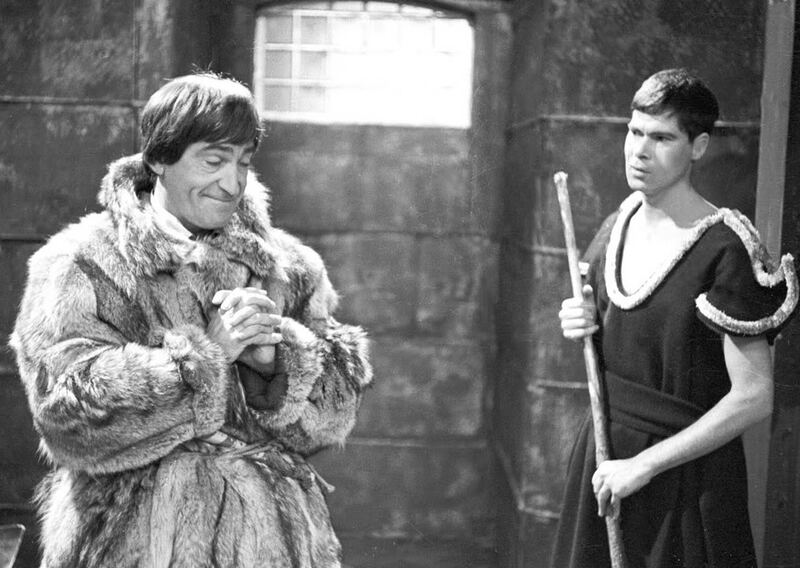 A brief history of the Great Intelligence from The Abominable Snowmen to The Name of the Doctor is set out in the video below. 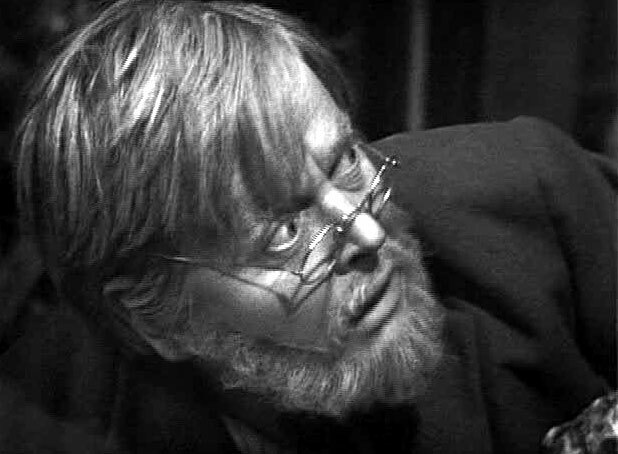 The character’s long dormancy was most probably a consequence of the rift between its creators, Haisman and Lincoln, and the producers of Doctor Who following the pair’s ill-fated third Who script, The Dominators. Interestingly, no acknowledgement appears for Haisman and Lincoln as the creators of the Great Intelligence in the final credits of the Series 7 episodes in which the entity appears. 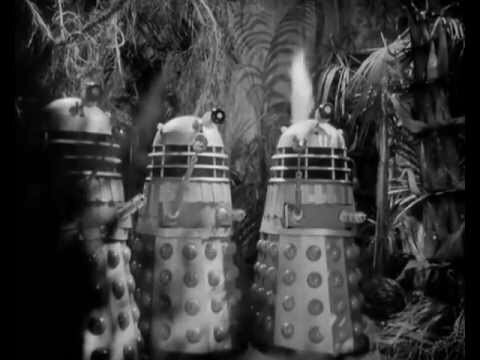 Monsters created by other freelance writers, such as Terry Nation’s Daleks, are still credited to their originators to this day. A final fascinating note on the Great Intelligence is that its appearance in The Snowmen predates chronologically its presence in The Abominable Snowmen and The Web of Fear. 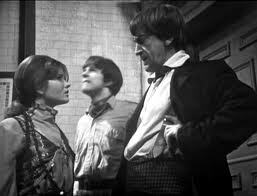 With the Abominable Snowmen set in around 1935 and The Web of Fear in the UNIT era, which is probably sometime in the 1970s, the Victorian tale of The Snowmen well predates the Troughton era stories. 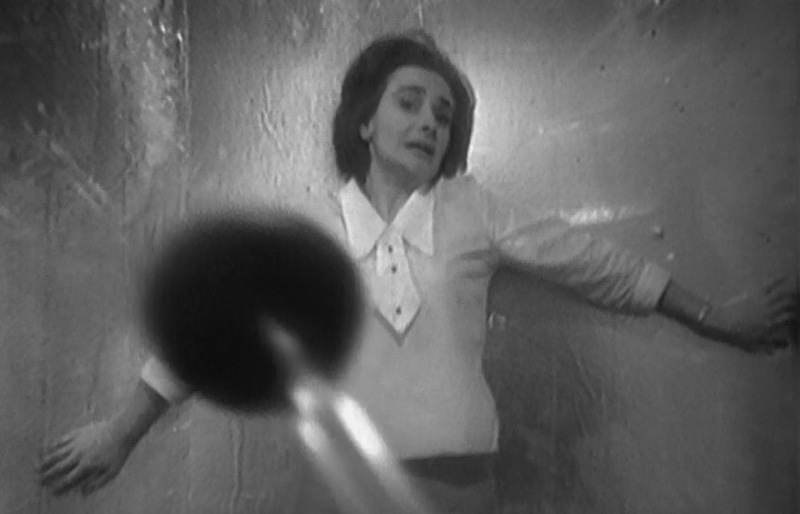 John Hussey in his article on the history of the Great Intelligence published in Doctor Who TV, posits that the Doctor’s battles with the Great Intelligence in The Snowmen could have actually been the inspiration for the two earlier stories. 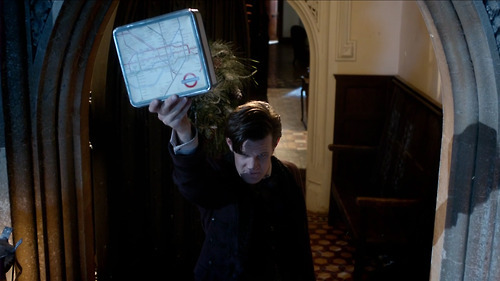 As evidence Hussey directs the reader’s attention to the London Underground map which the Eleventh Doctor showed the Great Intelligence. 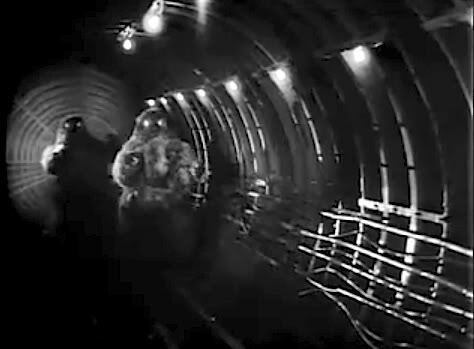 In outlining to the Intelligence the weaknesses in the system the Doctor may in fact have been responsible for Intelligence’s subsequent (but shown on TV, earlier) attack utilizing the London Underground in The Web of Fear. 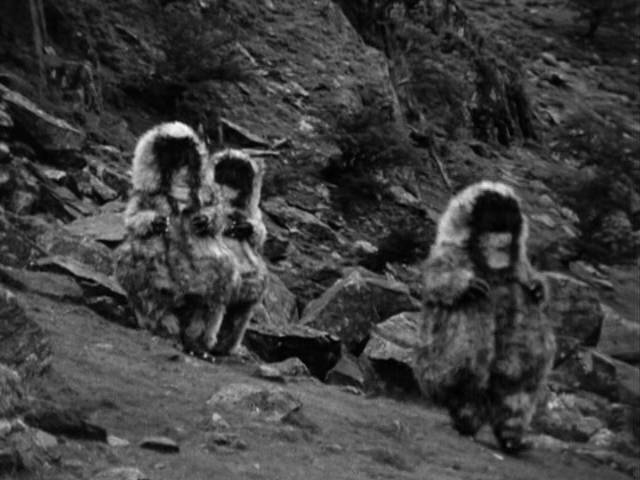 Being so critical of racism in the last serial, The Tomb of the Cybermen, I would be remiss not to point out that the Tibetan characters in The Abominable Snowmen are all played by Caucasian males. 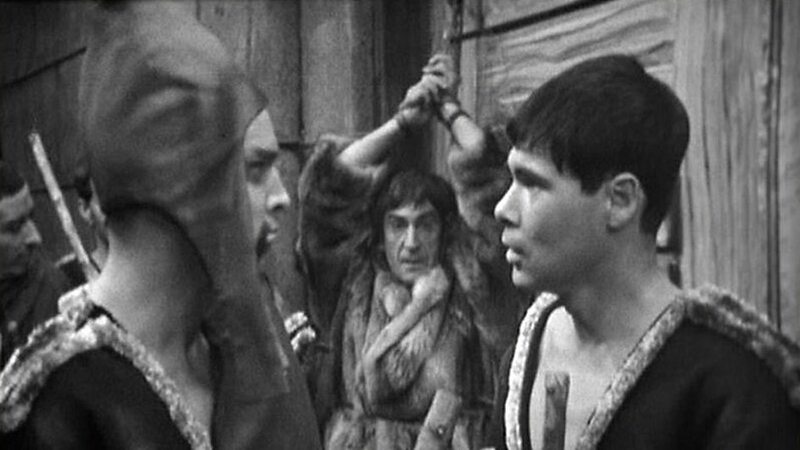 Unlike other Who serials such as the Third Doctor’s Planet of the Spiders and the Fourth Doctor’s The Talons of Weng-Chiang , the characters’ facial make up isn’t overtly reminiscent of Asian identity. 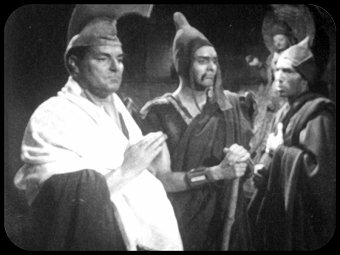 This early example of the Doctor Who production team erring in its moral duty to employ a more multi-cultural cast could perhaps, in this instance only, be overlooked if the viewer chooses to regard all the monks as Western converts to Buddhism. 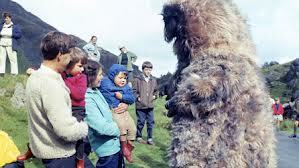 I couldn’t fail to conclude this review without saying a word or two on the most loveable of Doctor Who monsters, the Yeti. By the writers’ making these mythical Himalayan creatures robots, the designers were given the most perfect excuse for their creation of a less than realistic monster. If the Yeti looked pair shaped and cuddly, rather than mammoth and scary, the designers could always claim that realism was not their intention. 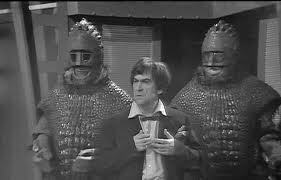 Perhaps they could retrospectively claim that the Monoids of The Ark were really robots! All told, The Abominable Snowmen is a cracking good yarn and comes highly recommended. By me at least! 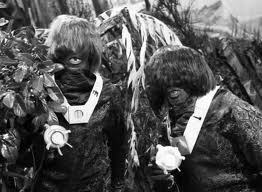 Perhaps The Ark’s Monoids should have been robots. It would help explain their appalling design! 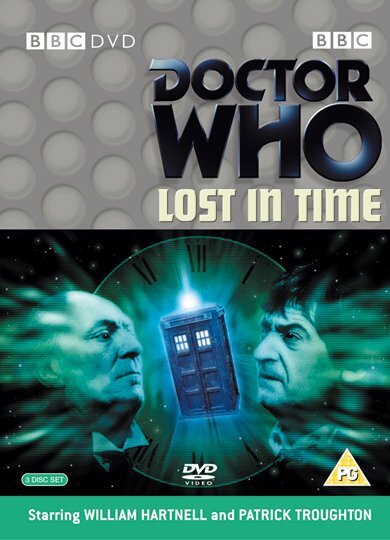 Episode 2 of The Abominable Snowmen is held in the BBC Archives and has been released on the triple DVD set, Lost in Time. 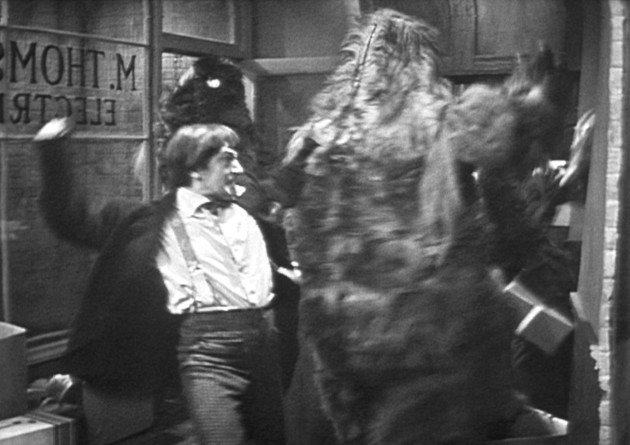 The Abominable Snowmen was originally broadcast in the UK between 30 September and 4 November 1967. 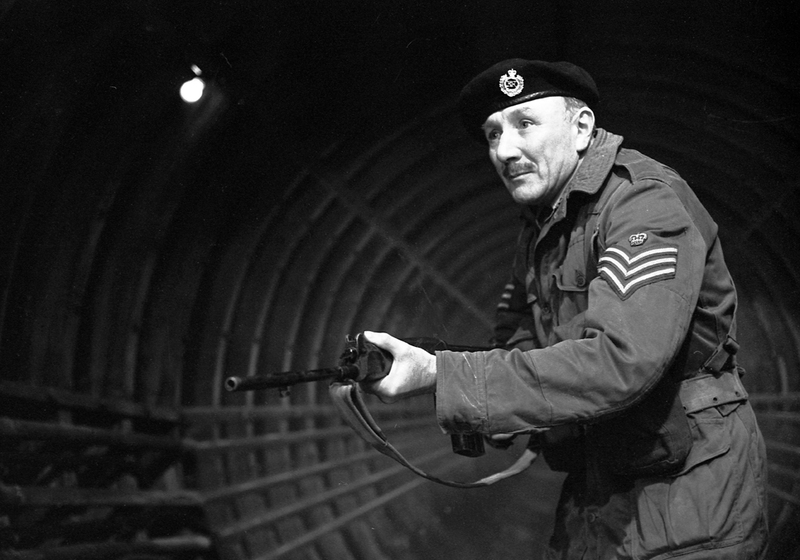 John Hussey, “Attack of the Snowmen: The Story of the Great Intelligence”, Doctor Who TV, 7 January 2013, http://www.doctorwhotv.co.uk/attack-of-the-snowmen-the-story-of-the-great-intelligence-44236.htm. Retrieved on 20 August 2013.